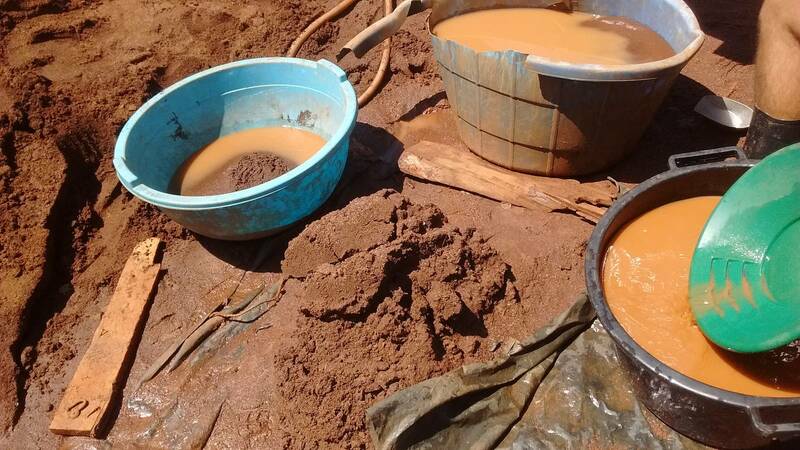 One of the out-points or better say not logical facts that we found on this mining site is the lack of basins and containers for the concentrates and handling of concentrates. Buckets were completely missing. Basins were not in best shapes. So every single action is coping or exchanging with other basins containing always some gold inside. It creates new risks in handling gold and delays the operation.